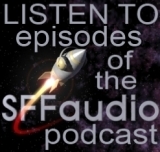 The first step to putting together a podcast is the idea. I find that ideas are connected, and that by focusing on the connections ideas flow. For example, I just did some research on comics adaptations of the Fafhrd And The Grey Mouser stories. Looking at adaptations is one of several tricks I use for figuring out what might make for a good idea for a podcast. My logic is that if a story or a novel has been adapted to another medium then someone probably saw some merit in it other than the original writer and the original publisher. That isn’t to say that an adaptation means it will definitely work, or that stories or novels without adaptations (or even subsequent re-printings) won’t make for good shows – indeed, sometimes great works have just been neglected. This technique works. 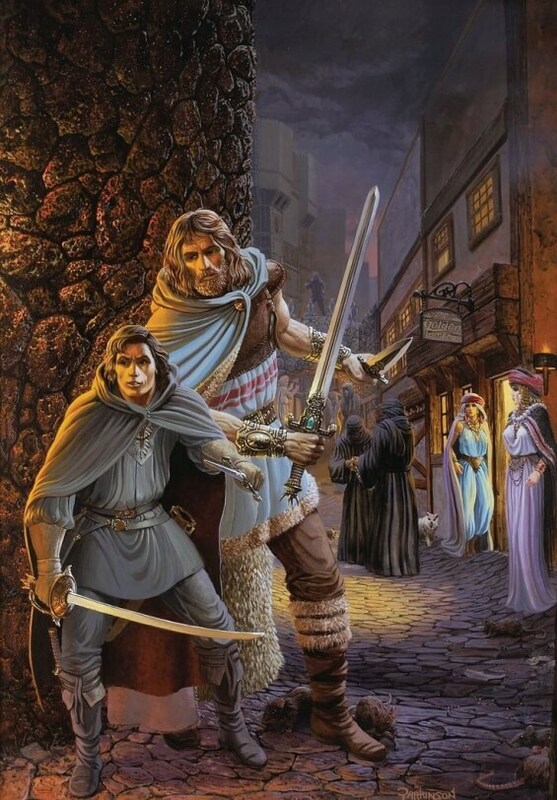 Coming off a recent discussion of a Gene Wolfe novella (recorded for a future SFFaudio Podcast), I got to thinking about the city of Lankhmar, that great fictional city that is the setting for so many of Fritz Leiber’s Fafhrd And The Grey Mouser stories. My first stop in looking for adaptations is comics and here are the results of my researches. 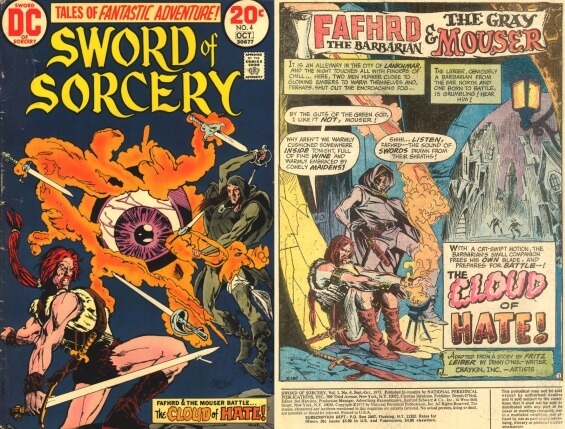 So as you can see above there have been two Fafhrd And The Grey Mouser comics series, one in 1973, the other in 1991. Of all the adaptations only The Price Of Pain Ease was adapted twice. But that story isn’t public domain (I prefer PD stories because it means we can just make an audiobook without spending weeks, hours, and centuries of often fruitless labour trying to track down the copyright holder). Of those that are PD I’m leaning towards the last couple from issue 4 of the Epic Comics run, in part because I have a vague positive memory of both). But I’m willing to have my mind changed. The next step will be to ask some narrator friends about their interest in Fafhrd And The Grey Mouser – in recorded a story and in talking about it – I seem to recall that Oliver Wyman has a deep love of Mike Mignola (who did the adaptations for Epic Comics) – that might be a good approach, but maybe that Mark Turetsky who was the Mignola lover – heck, I could ask Wayne June or Mr Jim Moon. These guys are all into comics. I’ll probably just tweet them all, cast a wide net and employ a crappy fishing metaphor (a crappie is a kind of fish) I’ll just ask them all if they’re interested in Fafhrd & the Grey Mouser and just see who bites. Hmm… now for some reason I’m leaning towards When The Sea King’s Away. 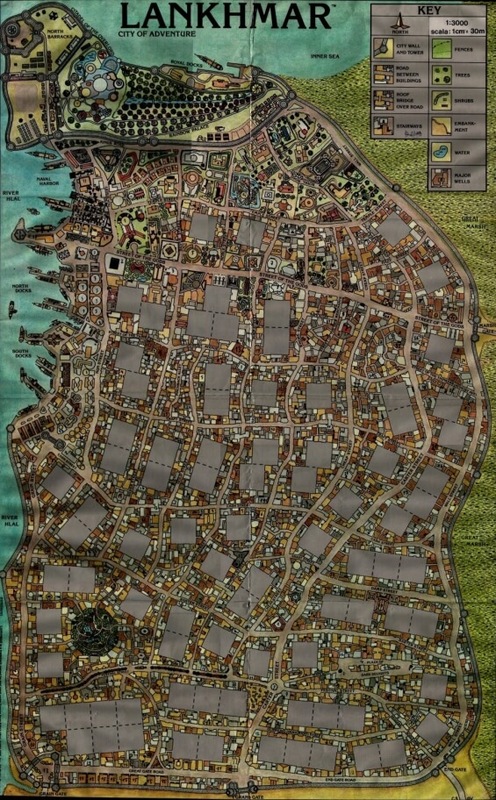 KAMN #19 Ninjas Meet In Lankhmar!